This is one super-bad scavenger. Unless you belong to the lucky few, a sports fan's journey ends the same way each season: just short of one more W. And if you aren't part of the fandom, you probably wonder why so many people care so much about a bunch of players they don't even know. If you've seen the Sprint commercial or are already familiar with Narwhals, you know well that, once the Narwhals tune burrows into your brain, it does not come out easily. Three of my political science colleagues conducted research showing that winning/losing that Saturday game could boost or cost the incumbent party and its gubernatorial candidate an average of 10 percent in the Tuesday election. On any given Saturday, a community like the one in Madison Wisconsin is not divided by class, race or creed but instead united by their football team. Archaeologists may often rely on research or hunches to lead them to a discovery. 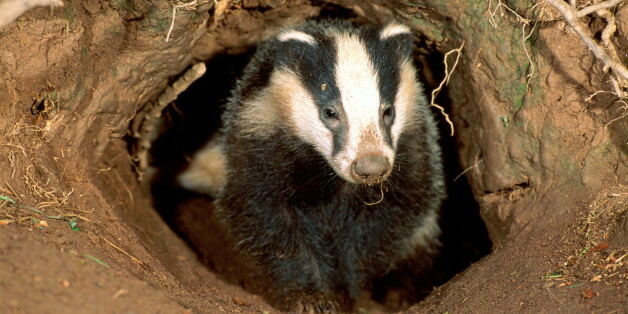 But it seems two archaeology hobbyists in Germany needed only the assistance of a helpful badger. I remember the points in time, like constellations, / when your hands were still warm / and the floating starships of your fists made galactic mist, / red dwarves to kiss my skin. Stop the Insanity: Please get a grip! So much has been going on recently...seriously? It's been beyond craazzzy. David Cameron and Parliament seem to have their heart set on a mass badger killing, Texas was hit by wildfires and Republicans have been debating up a storm. But at least those laboratory chimps got released. Thank goodness! I had no idea a Big 10 university drew a fan base larger than my entire metropolitan area in one stadium at one time.